Born in Ottowa in 1939, Atwood writes across a variety of genres, from the speculative fiction of The Handmaid’s Tale to the historical exploration of Alias Grace to the layered narratives of The Blind Assassin. 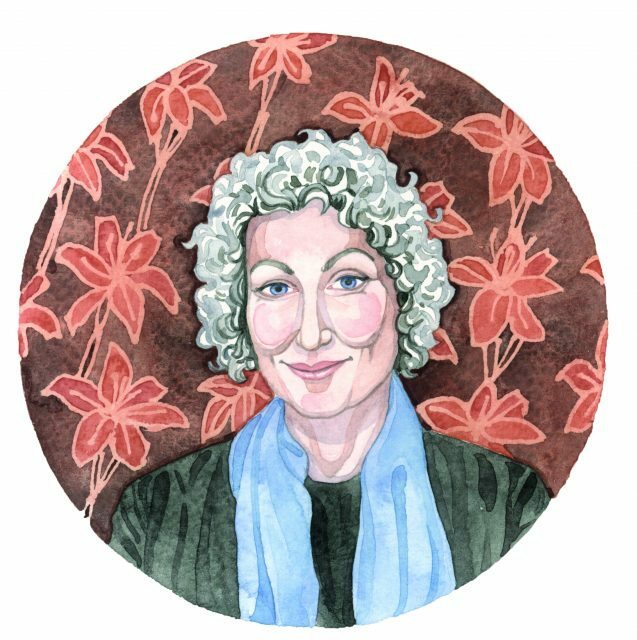 She is one of the most versatile writers in the English language: she rewrote mythology to give Penelope a voice, put realist twists on fairy tales, is a poet, and has published volumes of essays. She adapts her writing to keep on top of ever-changing social and political issues and never shies away from unapologetic feminism. Melt 8 tablespoons of butter in a pan over a medium heat. Add ¾ cup of brown sugar and 1 tablespoon of nutmeg. Stir until all the sugar has melted. Add 75cl of brandy and vanilla to saucepan and stir continuously. Add boiling water and cinnamon sticks, stir. Return to burner. Add maple syrup, stir over low heat to mix. Leave pot on very low heat to keep warm, serve in warm mugs. The Atwood cocktail features hot buttered rum and maple syrup. Perfect for cozy winter nights when you settle in for a night with her latest book.